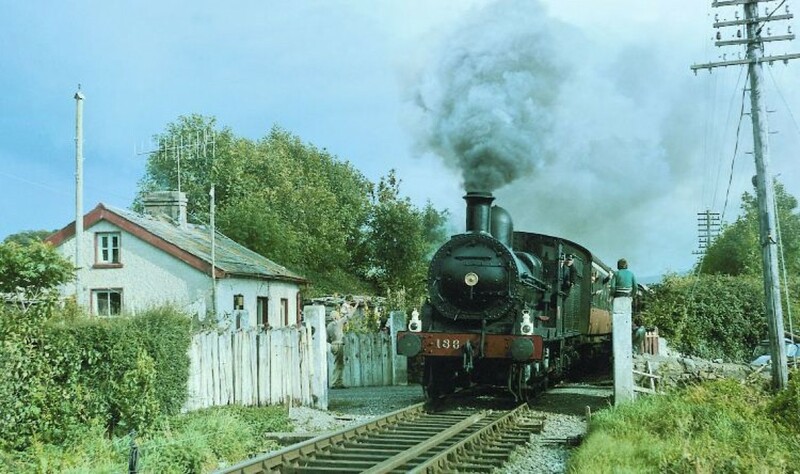 No.186 was the subject of a previous Railway Preservation Society of Ireland major appeal for funding. 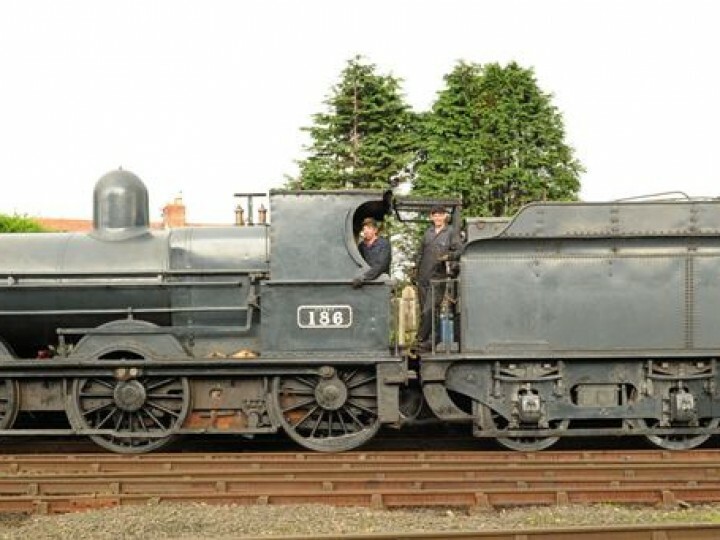 The official relaunch of No.186 following overhaul took place in the RPSI's 40th Anniversary year and the engineering quality seen in the finished locomotive earned it the HRA's 2004 John Coiley Locomotive Award. No.186 and sister locomotive No.184 are examples of what was by far the most numerous class of locomotive (diesel or steam) ever to run in Ireland. 111 of the class were built between 1866 and 1903 with only minor modifications between batches. The great majority were built by the GS&WR at Inchicore, though the construction of some examples was contracted out to Beyer Peacock and Sharp Stewart, both famous Manchester based locomotive building firms. No.186 is a survivor of Sharp Stewart origin. The J15s survived long after many more modern locomotives were scrapped and when CIÉ abandoned steam haulage at the end of 1962 they were still the most numerous class with nearly half their number still in traffic. They were to be found all over the broad gauge lines of the Republic on all duties from shunting to main line passenger turns. The RPSI acquired No.186, one of the superheated members of the class, with Belpaire firebox and a larger tender, in 1965. She was extensively used on the Society's railtours between 1967 and 1980. 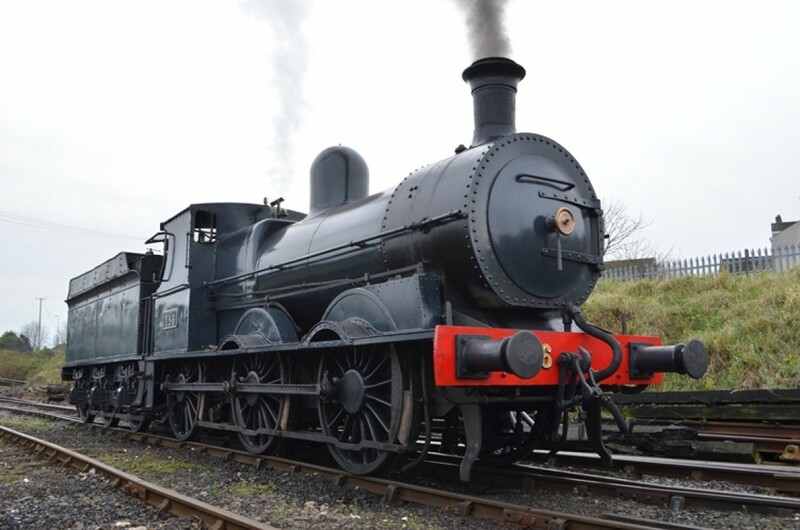 She was externally restored for exhibition at the Open Day celebrating the 150th anniversary of Inchicore Works in 1996, when she was painted in a light green livery. No.186 was the subject of one of Whitehead locomotive works' most comprehensive overhauls yet, and returned to traffic in mid-2004. She is paired with a large 3,345 gallon tender which were used with J15s towards the end of steam on CIÉ. No.186 would originally have carried a lined green livery, similar to that carried by GS&WR No.90 while she was on static display. This gave way eventually to black, and after 1925 they were painted unlined battleship grey, the standard of Great Southern Railways, and later CIÉ, livery. 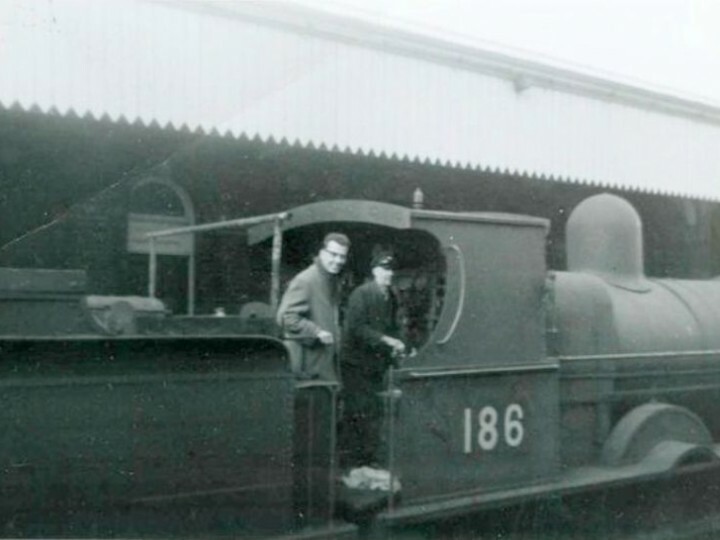 Later No.186 was painted black and it was in this colour she was passed to the RPSI. 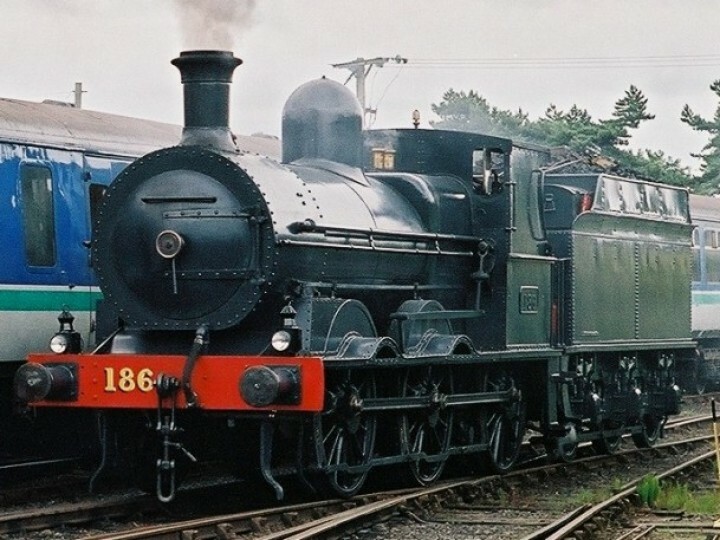 In the late 1970s in RPSI service, No.186 carried a fictional livery based on the South Eastern Railway in England, specially to appear in the film "The First Great Train Robbery" which was shot at several locations in Ireland. She currently wears the unlined battleship grey. The following is an account of the history of No.186 from just prior to preservation to 1980. Of the few preserved Irish locomotives virtually all are single surviving representatives of once numerous classes. The sole exception is the pair of six-coupled goods engines - No.184 and No.186. ; Known as the '101 class', these remarkable engines were introduced from 1866 and were still standard on Irish Railways 90 years later: from 1873 to 1963 they were the most numerous class in the country. Both locomotives saw long service with successive railway administrations in Ireland - the Great Southern and Western Railway, Great Southern Railways and finally Córas Iompair Éireann (CIÉ) - before being withdrawn from service. 'Maids of all work' and popular with crews, the J15s worked everything from pilgrimage trains to stand-ins on occasional express passenger services to sugar beet specials, and since starting their life anew on the preservation scene their versatility and popularity have remained undimmed. 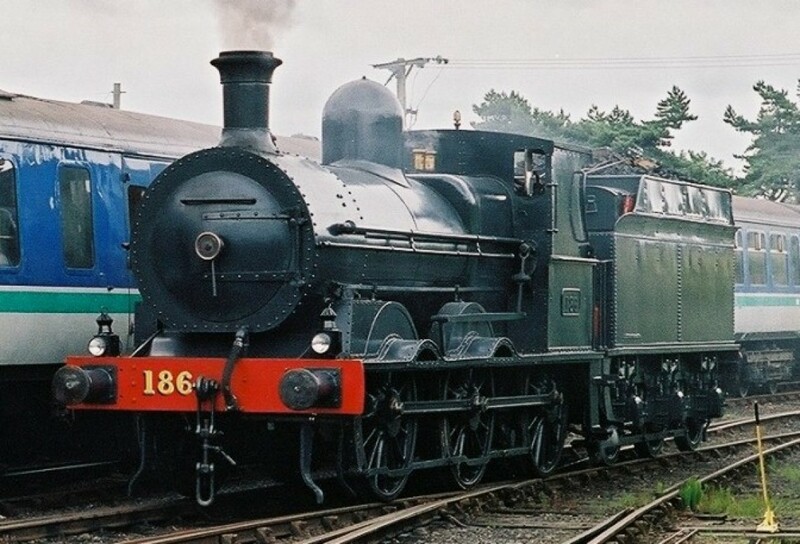 No.186 was born in 1879 as a 101 class tender 0-6-0 (six-coupled) standard goods engine (which eventually turned out to be one of the most ubiquitous mixed traffic locos in Ireland!). Capable of speeds in the 60s, cheap to build, maintain and simple to operate, the engine and its class were a sure-fire success. She was reboilered in 1932 with a superheated Belpaire boiler, which she still carries today. The locomotive may well have been the test bed for its most similar mainland cousins, the Great Eastern Railway J15s built between 1883 and 1912. No.186 certainly has the same distinctive looks and with Ireland's climate the short cab roof still offers the same scant protection from the elements!! No.186 operated out of Waterford shed prior to withdrawal. She worked her last 'Beet season' of 1962/3 hauling sugar beet trains, still a freight traffic in Ireland until the mid-2000s. She was subsequently withdrawn in March 1963 and retained by CIÉ in Dublin's Inchicore depot along with her class mates 130, 183 and 198. Together, the four locomotives worked the Irish Railway Record Society promoted week-long 'Grand Steam Railtour' over the entire CIÉ system in June 1964. In 1965 the RPSI acquired its first steam engine, 0-4-0ST "Guinness", a Hudswell Clarke locomotive built for shunting the sidings of the famous brewing company of the same name. The locomotive was donated to the RPSI at a ceremony in Dublin. At this ceremony was the then chairman of CIÉ, Mr Frank Lemass. During the course of the day Mr Lemass was approached by RPSI representatives to see if there would be any chance of obtaining one of the last remaining J15s still owned by CIÉ. A written request followed and the reply from CIÉ (virtually by return of post) was that the RPSI would be donated No.186 and she would be towed to the border (Dundalk). The engine was subsequently hauled north on the 11th December 1965 by CIÉ General Motors diesel B163 to Adelaide yard. CIÉ initially charged £27.1s.4d for the move although costs were subsequently waived! 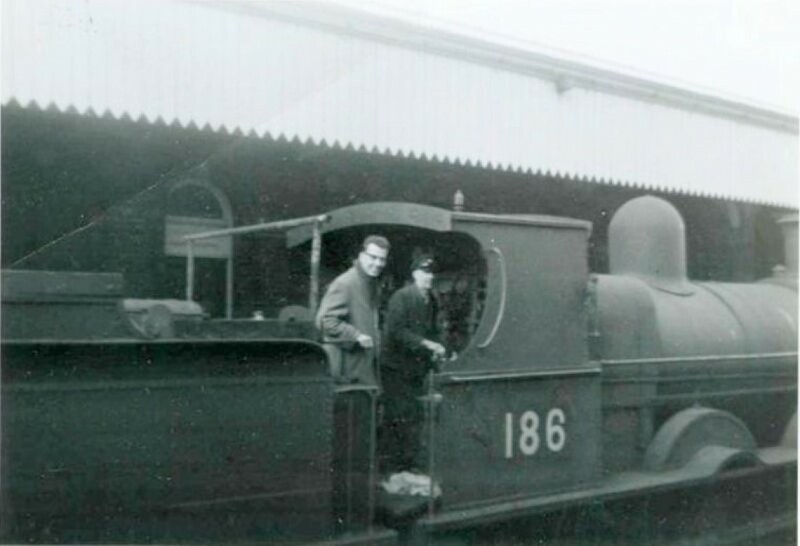 In December 1966 No.186 went into the York Road works of NIR to have some work done. This work was to make the loco fit for a filming contract (which never came to fruition). It appears that NIR (still regularly using steam) occasionally used the loco as the York Road pilot engine. Indeed, on 11th May 1967, No.186 operated two NIR ballast workings between Magheramorne, Carrickfergus and Ballycarry. 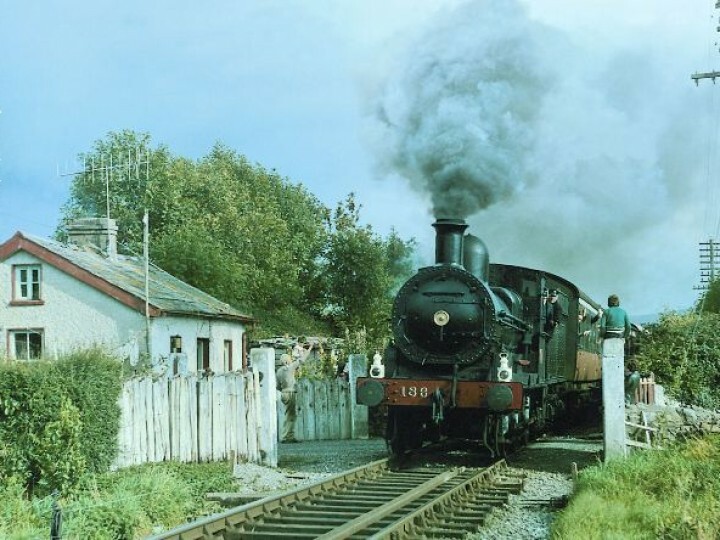 On 9th September 1967, No.186 became the first RPSI owned loco to be in steam on CIÉ metals. On 7th February 1968, No.186 ran light engine from York Road works to Whitehead to take up residence there for the first time. Her first RPSI duty was on 13th May 1967 when she worked a series of shuttles on the Portrush - Coleraine branch along with LMS(NCC) 2-6-4Ts No.53 and No.55 (both of these engines were still owned and regularly operated by NIR at this time). She was a regular performer on Society railtours both before and after her first retube in 1973. 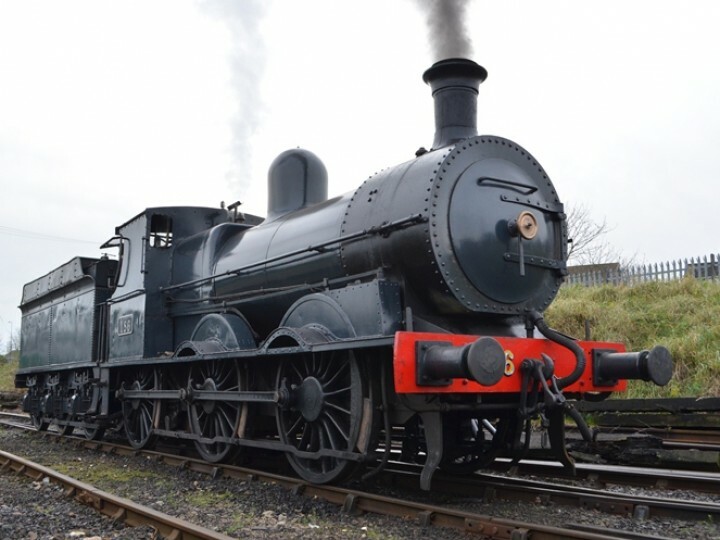 Not too many years after arrival the RPSI obtained a bigger tender for No.186 which has given greater capacity and allowed the engine to travel all over Ireland. Unfortunately, the tender is not a J15 tender (not sure but we think its from a 400 class). It does look slightly out of proportion with the rest of the loco. By April 1971, No.186 was the only steam loco in the British Isles both capable of and permitted to run on a mainline. On 5th July 1980 No.186 dropped her fire for the last time after running shuttles to bring people from Belfast's York Road station to Whitehead in connection with a steam and vintage transport gala. She has not been steamed since that date, largely because she was deemed too weak for the long haul, all day tours which became part of the RPSI's bread and butter running during the 1980s and 1990s. Nowadays the RPSI is adapting to the 'quick fix' leisure market by offering travellers more short-haul runs based on central population areas, e.g. shuttle services around Dublin and Belfast and their satellite towns. No.186 is seen as an ideal engine for these duties and her day did come around again! The locomotive had been in store from 1980 but was used as a stationary exhibit at the 150th anniversary of Inchicore Railway Works in Dublin in 1996, where the locomotive then stayed for a few years. No.186 returned to Whitehead on Saturday 2nd October 1999 to begin the long process of overhaul. Thanks to the skills of RPSI volunteers and staff, and the facilities available in our Henry Dunleath Workshop, she was restored as good as new - if not better! For most of the 10 years from 2004 to 2014, No.186 was based at Whitehead to haul the RPSI's northern trains, and did so with aplomb, before coming out of service once more in March 2014. No.186 has always impressed with her smooth running, despite having been built in 1879 to a design from 11 years before that! She has hauled many a happy family and will hopefully do so again.